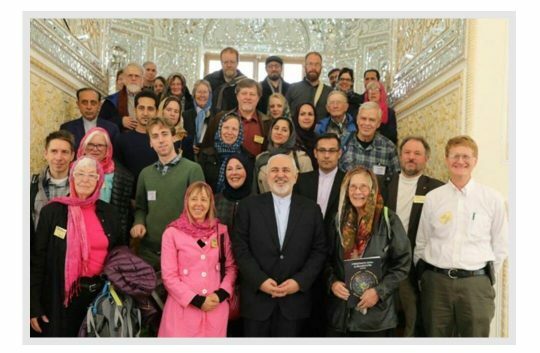 Code Pink co-founder Medea Benjamin on Monday lamented the resignation of Iranian Foreign Minister Javad Zarif. "So terrible that iranian foreign minister Javad zarif resigned [sic]," Benjamin wrote on Twitter. "Our delegation had just met with him and we were blown away by his brilliance and commitment. This is bad news for Iran and the world." Benjamin, whose anti-war activist group has a history of supporting the Islamist terrorist group Hamas and the late Venezuelan dictator Hugo Chavez, met with Zarif on Sunday. After the meeting, she criticized Donald Trump for "ramping up confrontation with Iran" as the president prepares to meet with North Korean leader Kim Jong Un this week. "We are meeting with Iranian foreign minister Javad Zarif in Tehran," Benjamin wrote. "White [sic] Trump gets ready to meet North Korea chairman, he is ramping up confrontation with Iran. #peacewithiran." Zarif resigned as Iran's top diplomat on Monday via an Instagram post, giving no specific reason why. "Many thanks for the generosity of the dear and brave people of Iran and its authorities over the past 67 months," Zarif said. "I sincerely apologise for the inability to continue serving and for all the shortcomings during my service. Be happy and worthy." Zarif played a key role in negotiating the Iran nuclear deal with the Obama administration and was among its most vocal proponents in Iran. A State Department spokesperson told the Washington Free Beacon after Zarif posted his note on Instagram: "We are closely monitoring reports of the resignation of Iranian Foreign Minister Zarif. We do not have further comment at this time."